In this interview taken from the Summer 2011 issue of Electronic Beats Magazine, EB’s editor-in-chief Max Dax speaks to Dan Snaith, the artist behind sonic collagist Caribou and more recently, the techno-flavored Daphni project, about Werner Herzog, marrying dance music’s functionality with the freedom of improvisation and a certain kind of Canadian identity crisis. Max Dax: Dan, I once flew over Canada going from from London to L.A. and spent a good chunk of the flight staring at the endless ice landscape. I had to put my sunglasses on to get rid of the glare. After four hours of pure white, I finally spotted the first sign of civilization: farming grids. Dan Snaith: Yeah, I know that all too well. How normal are extreme winters for you? It’s changed since I’ve been going back there as a visitor. Honestly, I have a hard time with Canadian winters. It’s much colder than when I remember growing up; the wind blows harder and the snow seems deeper. London is actually on a higher point of latitude and the weather is milder but the Canadian winter is strangely bright, far more glare than here. As a kid, I was outdoors all the time, even in winter. It was like a big playground; sledding or ice-skating or whatever. But as a teenager, I spent most of my time indoors playing music or hanging out with friends. The climate wasn’t such a big deal back then, but now I realize it’s one of the reasons I wouldn’t want to move back. It’s also typical of North America that none of the cities are more a couple hundred years old . . . I was always aware of that! My parents, being English, would constantly say, “There’s no history here!” Obviously, there was a long Native American history in Canada before colonization, but that was almost completely destroyed. And unfortunately, they didn’t have the same archival structure . . .
You mean, they had oral history instead? Yeah, a different form of historical narrative. For most Canadians, “old” is a hundred-year-old building. On the flip side, living in London, I sometimes miss the lack of history—that can certainly be liberating. It’s much easier for Canadians to form their own ideas about their identity. There’s a strong multicultural foundation, which is something I think most Canadians are proud of. Our self-conception is rightly based on being a nation of people from all over the world. This is true even in the crappy little town where I grew up. But somehow I think we envy the Europeans for their millennia of history—and this is an important aspect of a certain type of Canadian identity crisis. From your description, Canadian history and barren landscapes provide an enormous freedom; a sort of artistic tabula rasa . . .
Having a blank slate and no explicit tradition imposed on me as a musician is incredibly important. Ultimately, it’s what allows me to be open to taking an Ethiopian flute sample from one record and combining it with a synthesized bass track from another . . . even if I do it somewhat naively and it has larger musical implications. What are the implications of that kind of hybridity? I think it projects rootlessness and, for me personally, it’s an expression of being an outsider. When I was growing up, I spoke with a British accent at home and a Canadian one in school, and musically, I wasn’t into any of the stuff my peers were listening to at the time. I should have been getting off on Nirvana and Dinosaur Jr. records, but back then I hated that stuff. I was much more into Yes and Emerson, Lake and Palmer. I’ve often thought about what it would have been like to grow up in a place where you can really identify with the music being made at the time, like New York in the late seventies. But maybe it would have been just a big burden. I mean, if tomorrow I gave up Caribou and started making death metal, I don’t think anybody would say, “Dan Snaith is going against his roots!” I definitely don’t feel any allegiance to anything. That’s somewhat surprising to hear, because there appears to be such a clear thread that runs through the fabric of your music. 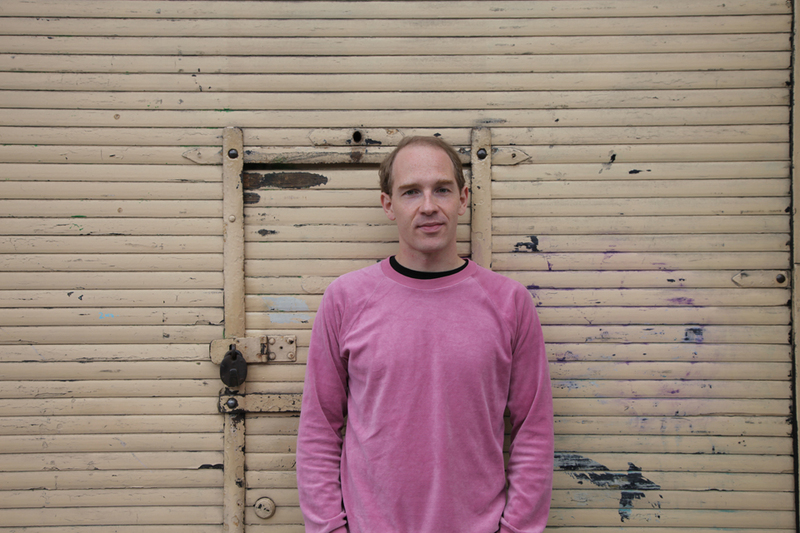 For all its eclecticism, Caribou possesses a pretty recognizable sonic fingerprint, so to speak. I think that’s true, but it’s also two sides of the same coin: On the one hand, it’s the diversity of elements and influences that defines Caribou, while on the other, all of the music that I make is stamped with my identity. But it’s common for my generation—or at least amongst my friends—to appropriate ideas as we see fit. It’s not as simple as identifying yourself with a genre or a cultural movement anymore. You have to move in between things and figure out what’s essentially you, what makes you happy. Jenny Holzer famously said, “Lack of charisma can be fatal.” How would you define your musical voice? When I made my first records years ago, I worried about whether, after everything’s stripped away from the music, there would be anything left that’s mine. It would be tragic if my music wasn’t more than just the sum if its influences . . . But I think there are ways of preventing that. I still have a policy of not including things that are too easily appropriated in order to really hone in on my sound. That kind of self-censorship takes discipline. Yeah, it’s not easy to decide against using something that’s worked so well in the past, like with these big, airy drum samples I had thrown on a bunch of tracks from Andorra. Soundwise, I’m still not sure I can actually articulate what’s “mine” or what belongs to “my sound”, but as a musician I don’t have to, and I feel comfortable with that. You were surprised? I think of the live show and the albums almost as two different entities. With Swim, I actually divided up the songs into Caribou stuff and my own DJ stuff . . .
“Odessa” being a Caribou track, for example? Yeah, because it’s a pop song. But tracks like “Bowls” or “Sun” were composed as dance music and intended to be functional in that sense. I had a certain obsession with functionality during that period; I was wondering whether I could create something that would elicit an immediate physical response from people in a club. I mean, it’s easy to create generic dance music and to figure out when and where stuff should build or drop. But the best dance tracks often sound so accidental and non-conformist. For example, take Theo Parish: his music doesn’t necessarily work when you’re listening to it at home, but when you’re in a club it just hits you and your body understands it. Are you talking about the volume? The club context? The feeling on the dancefloor? I mean the physicality of the music, the way it just envelopes you. I suppose context also has something to with it. When I made “Bowls” at home, I didn’t think it was ever going to make people dance. Then Keiran Hebden played it as a surprise one night at Plastic People and everybody just threw their hands in the air and had a ball with it, so I didn’t change the track from the original first home recording to the album version. But I also never expected it to have that effect, to translate in that way. That’s a great example of how important the mysteriousness of not understanding how you made something can be. A marriage of the functionality of dance music and the freedom of improvisation and appropriation? That’s exactly what it is. When I made Andorra, I had just started listening to dance music again after taking a break for four or five years. What really got me back into it was listening to stuff like James Holden and realizing how weird this music really is. Compositionally, it’s not like with a normal band where you first write a melody and then a bass part and then a drum part and then everything else. Instead, you establish some danceable, repetitive, formulaic foundation and then work on top of it, maybe with some weird, pitch-shifted melody or a backwards flute sample or whatever. That’s when you realize that there’s more madness than method to this music, and that’s what I really like about it. Is this an example of electronic musicians reaping the fruits of the digital age? In terms of accessibility and sampling, for sure. But accessibility doesn’t just mean being able to do things really quickly and easily. It also means having to wade through endless possibilities of manipulation . . . a process that potentially makes things more complicated. That’s particularly true in dance music, but whether it works to your advantage or disadvantage is a matter of approach. For example, Ricardo Villalobos has been very vocal in his criticism of Ableton Live because it’s made the whole process of creating dance tracks so easy. I think that’s a valid criticism, but it’s not the only way of seeing it. There are definitely ways of making new music with software like that . . . like in their misuse. The less obvious ways of using new software—the “wrong” ways—‘open the door to all sorts of new sounds. Combined with the sheer accessibility of songs and sounds today, the edges and the extremities of music have become absorbed into the middle. Crate digging has become popularized . . .
I’m constantly blown away by the speed of change and development in the digital era. It all happens right in front of your eyes. I don’t have any fantasies or nostalgia about living in another era or in an exclusively analogue world. I occasionally go back and forth. I remember hunting for obscure records before EBay and YouTube, and part of the attraction was the process itself . . . not to mention the obscurity of the objects. Also, you were dealing with real, physical things. What you’re describing sounds like objects of fetish. Not entirely—that kind of fascination with materiality is much stronger for people ten years older than me. I inherited a bit of that because those were people that I looked up to, musicians like Pete Rock or RZA who coveted records as physical objects and whose music was based on that kind of obsession. I learned how to find samples by reading about how they did it. Today, that idea must seem totally ludicrous to somebody making music who’s ten years younger than me. They probably ask themselves why anybody would spend their time looking for the physical object when the music is right in front of their face. I tend to straddle the line because I still buy tons of vinyl – mostly new music. Because you need it to DJ? No, I actually prefer to play CDs. I’m not part of the school of thought that thinks everything sounds better on vinyl. That’s only the case when the turntables are well cared for in clubs, and they’re usually not. As an outsider, I don’t feel tied to a culture of vinyl at all costs. Of course, I like the fact that when I buy a record, the money goes to the artist and I also get to own this physical thing. But I buy plenty of digital stuff as well. Does this hold true for things other than music? I own plenty of movies, but that’s an interest that’s developed over past five to ten years. I have friends who grew up seeing music as part of a greater world of the arts. That’s not what I grew believing. I could have quite happily lived only with music for the rest of my life. But that changed when I discovered the films of Tarkovsky and Werner Herzog, amongst others. I didn’t know you were a film buff. I would say I’m more of a budding film fan. When I was travelling through China, I came across dozens of markets where they weren’t just selling fruit, vegetables, and scorpions but also entire libraries of amazing and somewhat obscure cinema, all sorted by director— basically everything that won Palm d’Or in Cannes and beyond. Even though this stuff isn’t necessarily popular there, you’ll find exquisitely packaged box sets with all the extra scenes and extra footage on every second street corner, believe it or not. A friend of mine told me that the head of the DVD bootleg ring is actually a huge film buff, so I guess that explains it. A forty volume Chinese Fassbinder box set will literally take up half your suitcase. Isn’t it surprising how authentic some of the bootlegs look? I once saw a Chinese Tarkovsky box set that looked like the most sought-after collector’s edition you could possibly find . . . This is how I got to see a lot of these movies for the first time: piracy! What Tarkovsky film has inspired you most? My first was Andrei Rublev and I think it’s still my favorite. I thought it would’ve been Mirror. I like Mirror, but I’m not necessarily looking for the same things in film that I do in music. When I was making Andorra, I was obsessed with Werner Herzog, particularly Fitzcarraldo and The Great Ecstasy of Woodcarver Steiner. The latter is truly the visual equivalent to all the German progressive rock bands that I love so much. It seems kind of obvious because of the Popul Vuh soundtrack, but even without that you can tell that it’s the analogue of what was going on musically in Germany at the time. You mean in terms of the freedom of Herzog’s imagery? I would say in terms of newness and innovation, not having artistic forbearers. That kind of innovation usually involves transgressing borders. For Herzog, this sometimes meant spending millions of Deutschmarks on realizing a vision that few others could share in, at least at the time. Do you find this kind of dedication to a singular vision inspiring? Yes. Almost all of my musical and cultural heroes are obsessed with maintaining their own voice in what they do artistically. I remember watching Herzog for the first time and literally running into the next room to make music. That was a new experience for me, one that’s made easier by having a home studio. I continue to feel inspired by the creativity of other media because in the end, a creative act is a creative act. Although I don’t know much about visual art or poetry. Poetry in particular is something I’ve never grasped. Only casually. For me, poetry comes across as an analogue of classical music, although I don’t know if it’s a good comparison. Seems a bit like apples and oranges. That’s probably true. I haven’t read enough poetry to come to that conclusion. It’s just something I have yet to wrap my head around. Poetry can certainly be high art, but it can also be a sort of sport, like in Japanese Haiku culture, where poets compete to capture the most original linguistic snap-shot. My experience with almost everything is that when I start learning about it, I get excited by it. You have a PhD in mathematics, but often emphasize irrational and unharnessable aspects of writing music. Do you also feel drawn towards mathematical or logical patterns? And do your analytical abilities point you in a certain musical direction, like, for example, with the functionality or layering of dance music? The fascinating thing about music is that it expresses something fundamental about the mathematics of the world around us, our natural biology, our chemistry. But it also equally expresses our tendency to love things that are complicated and inconvenient. Both of these things appeal to me: achieving a perfect musical symmetry, but also disrupting that symmetry. And would that be a conscious approach to listening and playing music on your part? I suppose so. Mathematics always appealed to me for those reasons as well. What’s unique to math is that when things are true, they’re really true. When things fit together, that’s the end of the story. There’s only one correct answer. But until you get to the point where abstract ideas work together, there’s this sense of dealing with a certain mathematical chaos and the necessity of finding creative solutions. There may be one correct answer, but there’s often more than one way to figure it out. In the end, the payoff in mathematics is huge, because when you’re right, you’re right. Have you ever proven something significant as a mathematician? I’ve proven something original, but I would still call it pretty trivial. When I was writing my dissertation, I took the results of one problem and generalized them in their application to have a broader mathematical significance. The funny thing is that my former advisor who lives around the corner told me that another student recently took my results and was able to draw much broader conclusions and applications . . . which basically rendered my research irrelevant. For me, it wasn’t about the results, but rather the research process itself and the problem solving involved. The bricolage aspect of your music would seem to place research at the center of the song writing process. It’s a different kind of research for making music, one that’s less analytical and more aesthetic. I would say travelling plays a pretty big role in that sense. Being in Ethiopia was hugely influential on me in that sense. In a recent issue of Monocle, Tyler Brulee said that Addis Ababa was one of the most exciting cities in the world. What was so special about Ethiopia for you? I think Ethiopia is truly one of the most underappreciated countries, and Addis has so much to offer—culturally, visually, and musically. But the areas outside the city also blew me away. There’s this amazing dry, craggy landscape, sort of like the American southwest. These were the even more interesting places for me, because they give off this kind of cradle-of-civilization aura. Tigrid, which is a northern province, is one of the hottest places on earth. It’s also populated by tons of ancient clay and rock churches carved into the sides and on top of mountains and cliffs. Some are more than fifteen hundred years old. The Ethiopan church was kicked out of the fold by the rest of Christianity pretty early on, so it ended up developing independently. And these churches are still in use. There are hand- holds built into the side of mountains that go up almost a hundred meters, like a climbing wall. I climbed up one to check out a church and it was terrifying, which made it even more fascinating that the people in these villages do it several times a day—even the children and old women. The priest himself was almost ninety years old and he ran up and down the thing no problem. Were music and research the driving factors for you to go there initially? Music, for sure, especially the Ethiopiques reissues. These releases really blew a lot of people’s minds because the music just sounds so different than everything else—kind of like how Ethiopia, culturally speaking, is so different than the countries it borders. I’d been listening to Ethiopian records for years, but what I had didn’t compare to the sheer volume of the Ethiopiques series which is, like, twenty CDs. There are so many incredible musicians on there—Mulatu Astatke, Mahmoud Ahmed, Getachew Mekurya—too many to name. You mentioned before that composing for you involves finding a symmetry between what’s intuitive and making more analytical decisions. Ethiopian music is immensely complex, both harmonically and rhythmically. There are usually multiple patterns interweaving or being layered on top of each other. At the same time, the music remains very danceable. Is this contrast something you especially relate to? For my ear, the scales, modes and harmonic framework of Ethiopian music are remarkably unique and sound nothing like Western popular or classical music. And that’s a large part of what appeals to me, because the bedrock of my musical taste is the spiritual free jazz of the sixtees and seventies—Pharaoh Sanders, Albert Ayler, stuff like that. I love the fact that Ethiopian pop and jazz has a real dancehall tradition and that it was never divorced from people dancing and grooving to it . . . even if it was more geared towards the Ethiopian elite. There was always a strong connection between Ethiopia’s more avant-garde jazz and the country’s popular music. You can hear it in the richness of the songwriting. There’s such a broad palette being used. That seems like an accurate description of what you do as well, especially in regards to combining disparate influences. Often the most fertile way of making something “new” is by combining disparate music, and this is also the way I’ve worked for years. I’ve been making music since I was thirteen and the first time I felt I had created something worth releasing was when I started combining electronic elements with acoustic elements; whether it was a sample of a harp and drum machine or an acoustic guitar and a synthesizer. This is the first time I started seeing my music as identifiably mine, and it was the synthesis of things that felt so exciting and pushed it in that direction. That being said, there’s tons of music I love where it’s completely clear what it is, like a Carl Craig remix, or King Tubby or whatever . . . although I suppose Carl Craig is a bad example because he’s done all sorts of different things. In the end, even the music that is unambiguously of a “single” genre was, at some point, also a mix of other genres. I imagine that’s probably a necessary condition in the creation of a new genre. I can recall thinking when I was young that certain genres were off limits. I can also remember transgressing these personal borders and the worlds that opened up for me as a result. This was my experience in discovering jazz. How rigid were your musical borders and how did you get past them? I grew up playing classical piano, though I never really enjoyed listening to classical music. As a teenager I still took lessons, but I had moved on to pop music and learning to improvise around more convential stuff, like The Beatles or whatever. That was the first time I got interested in playing and performing. But pretty soon, my teacher told me that if I really wanted to improvise, I would be much better off taking jazz lessons. So I just totally immersed myself in jazz piano. During the summer, I would play five to six hours a day, and when school started up again, I would try to get in an hour or two before first period. I was obsessed with really learning song structure, harmony, theory and the scales behind it all. And of course, I was really into practicing, practicing, practicing. Because everything I’d read and everyone I talked to said that if you want to get really good at this, you have to spend all your time doing it. Joe Zawinul has said it’s a lifestyle. Yeah, and he’s not the only one. You play to the exclusion of everything else, which is something I ended up doing. But initially, I was into the safer, more traditional jazz – more classical bebop and stuff like that. And then I went to university and everything changed. I randomly picked up some Penguin Classic anthology of important jazz records and was exposed for the first time to a proper jazz canon. The book had these ratings of important records, and I’m sure if I picked it up again today, I would disagree with a lot of it, because the more conventional stuff got such high ratings. But I have to credit the book with exposing me to Albert Ayler’s Spiritual Unity, which they gave five stars. I’d never heard of Ayler, but I decided to go out and buy the record. That was a day I’ll never forget; everything changed for me, and I pretty much instantly stopped caring about be-bop records and only listened to free jazz. Jazz rhythm sections are responsible for providing an anchor to the more deconstructive tendencies of soloists. This is less true for free jazz, but still applies there as well. With piano, the anchoring and soloing can be done at the same time. Who was inspirational for you as a pianist? If you had asked me back in the day, I could have given you a long list of pianists. But my perspective and mode of operating as a musician has changed so drastically, that naming clear influences for individual instruments is something I can’t really relate to anymore. My heroes today are almost all producers or musicians using other instruments. And my interest has to do with their contributions to writing music, not how they play their instrument. I used to be able to play the piano really well. I can’t do that anymore because I don’t practice. But what I do practice all the time is producing and writing songs. What producers do you admire? Again, there are so many. I really like Charles Stephney, who produced the Rotary Connection albums, a kind of a symphonic soul music. For hip-hop I’m really into Timbaland; for dance music, Carl Craig and Theo Parish. I really like Bryan Wilson, of course. Joe Meek is great too. He actually lived and recorded on Holloway Road near my apartment. He was a real studio pioneer who built some of the first echo machines and effects. I think his biggest hit was “Telstar”. Great song. What about musicians who mine non-western music for their sound? I suppose there’s a pretty long history of people who’ve done it, from The Beatles and Bryan Jones to David Byrne and whoever else. Personally, I’m always discovering stuff when I travel. My last trip to China was really inspiring, but unlike Ethiopa, it wasn’t supposed to be for the music. Actually, my wife had become fascinated with this fermented Chinese tea called Pu-erh, which is only made in the tropical southwestern province of Hunan. In the end, the trip was also enlightening for me musically, but that wasn’t the impetus for going. I really love the chance aspect of the process of discovery. I recently took a vacation to Italy for the express purpose of visiting a pasta factory. It’s a different holiday than one spent at the beach.